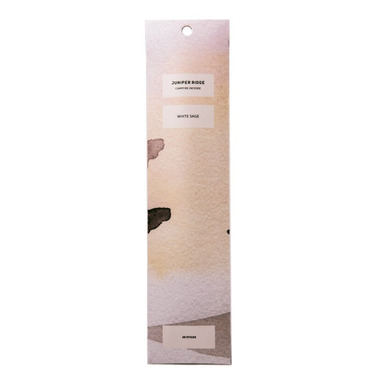 These incense sticks are made with 100% wild-harvested leaves, wood and resins from the Mountains of the West. They contain no perfumey stuff, no added scents, no fake anything. These are lovely to burn and a heavenly scent! These are lovely. They burn nicely and their scent is not too strong. Will purchase this brand again for sure. Little smoke and last long. Very nice product, not too strong and little smoke. Great and convenient in lieu of a sage bundle to burn. I love the pure and earthly aroma of this product. Perfect for those practising aromatherapy.